More than 1 in 3 Detroit homes have gone into foreclosure in the past 15 years, creating miles of blight. The Detroit Land Bank was supposed to assemble and sell vacant homes but some contend it is too slow to do so. William Gill wants to buy a fixer-upper home in Detroit and has his sights set on the neighborhood of North Campau. Far removed from the trendy areas of Midtown and downtown, the neighborhood near Interstate 75 and Hamtramck is close to his job as a hi-lo driver and his daycare for his children. Unfortunately for Gill, most of the homes in the neighborhood have a single owner: The Detroit Land Bank. And it isn’t selling. The city agency owns 60 percent of all the properties in the neighborhood, 144 total, and is selling two. It’s a similar phenomenon throughout the city, where the land bank is listing for sale 3 percent of its nearly 30,000 vacant homes. “I’ve been looking for almost two years,” said Gill, a native Detroiter who is renting a home nearby for his family of six and has saved $5,000 for a home. Founded in 2011 to assemble and sell miles and miles of blighted homes, the Detroit Land Bank has grown enormously powerful and controversial, owning about 20 percent of all single-family homes in the city. A grand jury is investigating the land bank’s contracting process for a housing demolition program it oversees, while critics have complained about the size of the agency’s staff and lack of minority contractors. Now, city officials acknowledge the land bank could do better at its most basic job: Selling empty property. 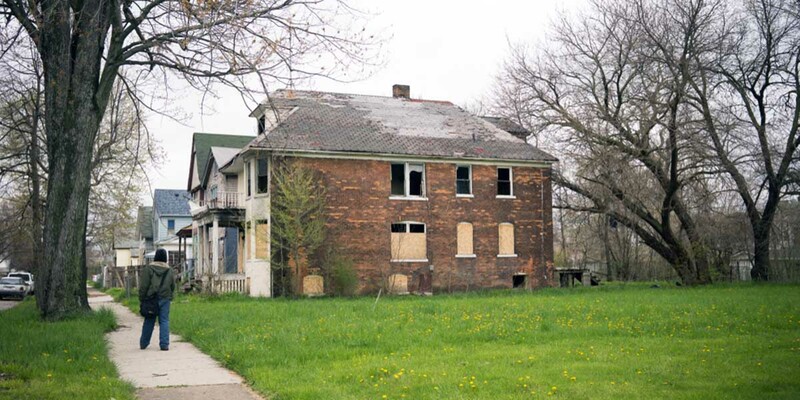 Data Driven Detroit estimates the city has 43,576 vacant homes, 68 percent of which are owned by the land bank that it acquired through tax foreclosures. In the East Village neighborhood, records show the land bank owns 371 structures and is selling none on its website, Building Detroit. On the west side of Detroit in the Brightmoor neighborhood, the land bank owns 1,317 structures and is selling eight, records show. Saskia Thompson, the executive director of the land bank, said she wants to increase sales in the next year to 200 per month from 150. She said it’s a “daunting task,” because the land bank also owns vacant lots, pushing its total inventory to 95,000 properties. “We have a pretty sophisticated data team here,” said Thompson, a native Detroiter and former deputy finance director of Philadelphia who took over the land bank about a year ago. Thompson said the land bank and its $1,000 homes are an alternative to folks like Gill who have steady jobs but low incomes and likely wouldn’t qualify for a mortgage. Saskia Thompson is executive director of the Detroit Land Bank. She acknowledges she hears complaints the agency isn’t selling homes fast enough, but says it is actually keeping up with demand. Elsewhere in Detroit, poorer residents have fewer options to become homeowners beyond land contracts that are often predatory or rent-to-own arrangements that often end in eviction. 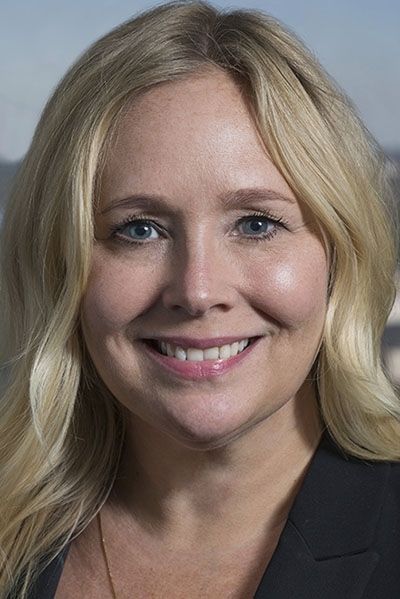 She said the land bank will sell homes that aren’t listed on its website, but acknowledged she is working to make its telephone operators more responsive. She has work to do, said Gill. Frustrated with the land bank, he recruited a cousin, Shonlynn Robinson, to scout homes in the North Campau neighborhood that may go up for sale. She said she calls the land bank once a week and gets few answers. The troubles are a symptom of a seismic housing shift in Detroit that began with the subprime mortgage crisis, which triggered a wave of mortgage and tax foreclosures that decimated neighborhoods. All told, more than 1 in 3 Detroit homes have gone into foreclosure in the past 15 years. In the process, Detroit has gone from having one of the nation’s best rates for black homeownership to being a majority-renter city. Miles away from Midtown and its $800,000 lofts, banks issued fewer than 1,000 mortgages in Detroit last year. Use this map to explore homes that sold in Detroit in 2017 with a mortgage. Click on the dots to see purchase price and other information. All of which has fueled a persistent narrative of “Two Detroits” – one prosperous and another poor and neglected – that some say perpetuates distrust of the land bank. “I’ve heard neighborhood people complain that they don’t really understand the Land Bank process for deciding which properties to sell and when,” says Tom Goddeeris, deputy director of the nonprofit Detroit Future City planning group. A former neighborhood development leader, Goddeeris has worked with the land bank for years but said the process to determine which properties go up for sale is a mystery even to community partners who have a good relationship with land bank officials and trust their motives. “I don’t know how they decide what goes into the pipeline and what doesn’t,” he said. There is no secret agenda other than to help neighborhoods, said Thompson, the land bank’s director. “We own so much land we have a very unique opportunity to use that land in a strategic way to bring back neighborhoods, maybe not to their former glory but to long term sustainability,” Thompson said. The land bank is a tough spot, said Linda Smith, director of U-Snap-Bac, a neighborhood development group on Detroit’s east side. The agency was created to ensure that blighted homes are sold and fixed. Selling them off quickly would likely ensure the properties are foreclosed again, perpetuating a cycle of blight, Smith said. Land bank rules require owners to occupy properties and make repairs within six months or the property reverts back to the agency. “The biggest problem isn’t the land bank selling homes. It’s people who buy the properties who are looking for assistance (to repair them),” Smith said. Smith acknowledged the land bank’s sales process can “seem like a maze,” and be daunting for inexperienced home buyers. Tenisha Shipp is one of them. “Tired of dealing with slumlords,” Shipp began looking for a land bank house in March and was continually stymied. She drove around Detroit, writing down addresses of empty homes in fair condition and tracked down several owned by the land bank. “If you call about it they say you have to wait until they put it up (for sale) and they won’t say when,” said Shipp, a care worker for autistic children. Shipp eventually bought a home from the land bank for $1,000 that needs extensive repairs. She regularly has to send photos to the agency of her progress, lest she lose the home. In the meantime, she and her three kids are staying on and off with different family members until the home is habitable. “I wouldn’t recommend for anybody else to buy through the land bank. Not at all,” Shipp said. Sarah Alvarez is founder of Outlier Media, a journalism service that delivers data reporting and information to low-income news consumers over text message. Leah Samuel is a freelance journalist with over 25 years of experience. Isn't clearing the title on all these properties a big part of the issue? I was under the impression that the Land Bank is the owner, but they don't actually "own" the deed, free and clear, without taking it to court first. Ms. Thompson does not really explain why the agency is so slow to sell the city's properties.